Experts at the EPA estimate that the air inside US homes may be 5 times more polluted than outdoor air, and can be as much as 100 times more polluted in some cases! Poor IAQ can cause respiratory problems including athsma, make us more likely to catch a cold, and generally make us feel lousy with vague symptoms like headaches, dry eyes, nausea, and fatigue. 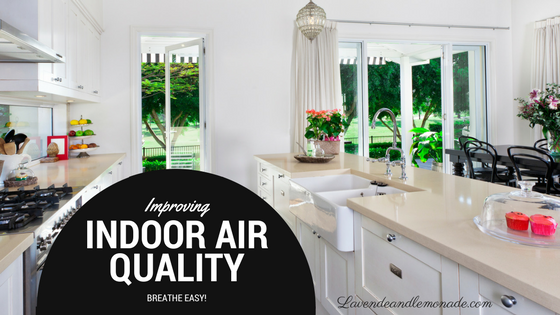 Longer term effects can include respiratory disease and even cancer...clean indoor air definitely something to keep an eye on! 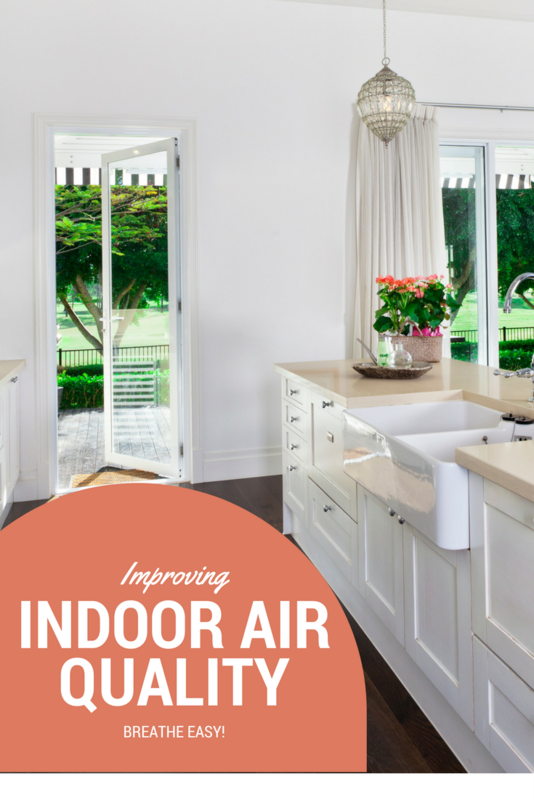 Check out this primer on IAQ, thanks to the ladies of the Today Show! 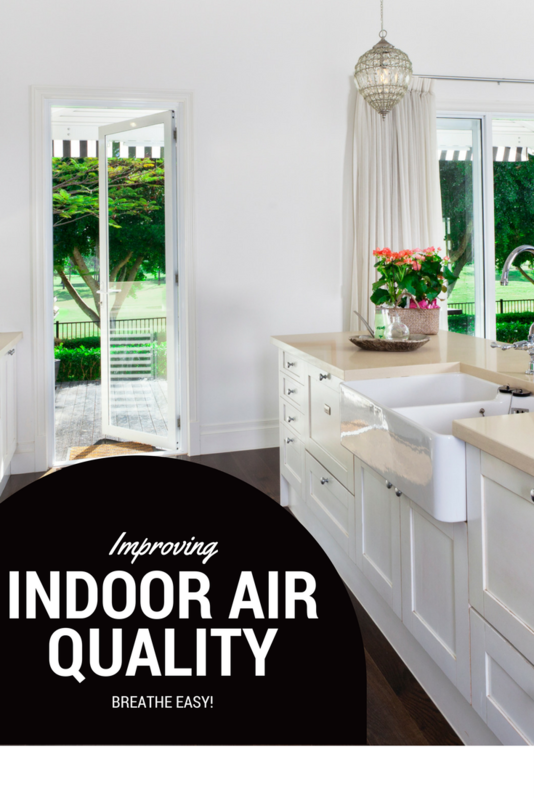 As we huddle inside during the winter weather and seal our homes against the cold, indoor air quality tends to degrade. Worse, heat and humidity in the summertime make some chemicals, like Formaldehyde, even more concentrated in the air. 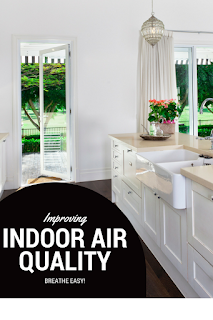 But what can be done to clean up our indoor air quality and breathe easily? - Open up the windows and get some fresh outdoor air circulating inside. I'm always in a better mood with the windows open...coincidence? - Let new furniture breathe, outdoors. Ever notice that 'new' smell coming off new furniture and carpeting? The products and chemicals used to make new furniture 'off-gas' in the first few weeks after they come out of the box. If that's done indoors, all those chemicals are polluting our indoor air. When you bring home new furniture, let it 'detox' in the garage or outdoors for a few days before bringing it inside. - Buy used. Thinking of buying that bookshelf off craigslist? Here's one more great reason to! When you buy older or gently-used items, not only are you helping the landfills, saving money, and probably getting it already asembled... but the items have already 'detoxed' somewhere outside of your home - making them the better option for indoor air quality. - Hit the dust. Grab your HEPA-filtered vacuum and dustless cloth to remove extra dust particles from your home - the less that is hanging around the less your family will risk breathing it in. What do you do to help ensure clean air inside your home? Its really awkward if inside of a house is stuffed with different smells and scents of the furniture and other things. Thanks for sharing the ideas to improve the air quality inside the house . Bravo! Such posts are an inspiration for further action. Great tips thanks to sharing them.